Feminist icon and global activist Gloria Steinem will lead a group of female activists in a march across the Demilitarized Zone between North Korea and South Korea on Sunday. The 30 protesters intend to challenge the policy of isolation between the two countries in a rare crossing of the border. The group, which includes two Nobel Laureates, arrived in Pyongyang on Tuesday in preparation for its International Women’s Day for Peace and Disarmament event. The events that will occur before the march center around North Korean women, who face exploitation and abuse in the isolated regime. "Ronald Reagan stood outside the Berlin Wall and said: 'Take down this wall,'" Steinem told Reuters. "We are saying: 'Take down this isolation.'" The peace activists will tour a school, a women's factory, and a maternity hospital, meeting hundreds of North Korean women in the process. Steinem has acted as a champion for women's rights issues across the globe, and her mission for peace in Korea could help bring attention to the plight of the women living there. Due to economic downfall, women are often the breadwinners in North Korean homes. However, they must also be devoted mothers and homemakers. When famine hit in the 1990s, the government stopped issuing rations. Thus, women began selling food and animals on the black market to feed their families, though capitalism is illegal in the communist "Hermit Kingdom." 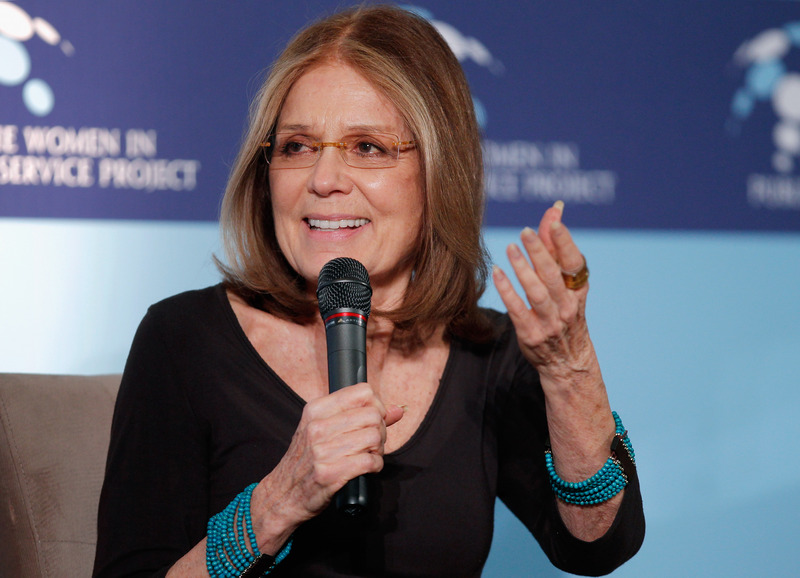 Other women work in factories like the one Steinem will visit, often under harsh conditions. Officially, North Korea supports gender equality. The Gender Equality Law of 1946 enacted equality for women regarding issues such as inheritance, child custody, and divorce. A 2009 revision to the constitution requires that the country respect and protect human rights. However, an expansive 2014 report on North Korea by the UN's Commission of Inquiry read, "Early reforms aimed at ensuring formal legal equality have not resulted in gender equality. Discrimination against women remains pervasive in all aspects of society." The protesters' focus on visiting women in particular puts a focus on their condition to the world. Domestic and sexual violence, which Steinem has spoken out against, is a danger for these women. One defector interviewed by The Guardian estimates that domestic violence occurs daily in three out of 10 households and less frequently in others. The U.N. also reported the alleged prevalence of sexual assaults by soldiers, train inspectors, and government agents in public places. The report also claimed there are horrible conditions for women in prisons. Sexual assault is allegedly common, as are forced abortions. Even escape does not always provide safety for North Korean women, who face the risk of being trafficked as brides when they leave, according to the U.N.
Steinem's march across one of the world's most heavily guarded borders might be a step toward global freedom for all people and highlight human rights injustices toward North Korean women. These powerful women have the ability to go literally where others cannot to tell the world that peace and gender equality are necessary. Their efforts can only empower.